Moments of clarity, confusion, frustration, joy, perseverance, little moments, big moments….you know, Life. Sometimes I really do not know how I have managed to achieve that glorious 3.9 GPA. Yes, I have ADHD…in a pretty bad way. I tried taking medication once but had an allergic reaction to it and have been too afraid to try a new medication. I got to this point in my education without medication, so I am sure that I can finish school without it. My problem is that my work space is just too damn distracting! Don’t get me wrong here, my office space is private, well-organized, and soothing. My problem is the computer. I have one desk and right in front of me every time I sit down to do my studies or homework, I see the monitor. Usually I begin my homework after checking e-mails, Facebook, Google+, and other various media like the news. I know I could just turn it off when I’m done, but what if I miss something important? I know you are sitting there in your favorite computing spot, saying “what’s wrong with you?” I ask myself that same question every time I feel the urge to turn on the computer. That IS the distraction! The urge to turn on the computer…just in case. 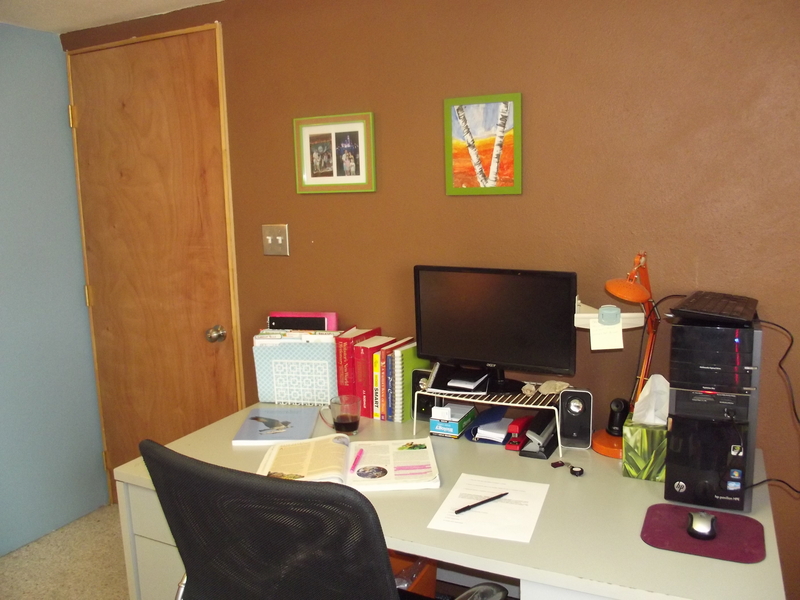 I feel a new home project coming on this summer…revamping my office space. I need a desk in front of the window that faces out onto my lovely front yard. A desk with nothing on it except maybe a pen holder, a lamp, and a box of tissues (for my allergies). No distracting file folders, computer screens, or books. Just a solid, plain surface for working. Perhaps then I will create a masterpiece to publish. Then I will get my homework done in a couple of hours rather than the 4 or 5 it takes me now. Perhaps then and only then, my ADHD will leave me alone.